Medication saves lives. Our Oakland pharmaceutical lawyer knows we are lucky to live in an age where so many health ailments can be managed or cured through the use of medication. 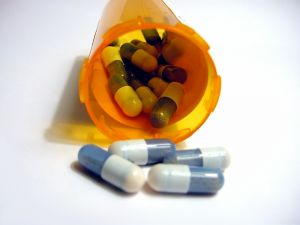 However, we also know that medications can be dangerous, especially when unused medicines are not properly disposed. As your Oakland dangerous drugs law firm, The Brod Firm has been following developments in Alameda County regarding drug disposal. According to The Oakland Tribune, Alameda County supervisors have elected to delay passage of an ordinance that would have required pharmaceutical companies to take back unused products. The ordinance, which was expected to be approved, would have made the county the first local government to require such steps. The delay means the provision will not come to a vote until June, at the earliest. Currently, there are 128 drop-off sites in the Bay Area at which residents can dispose of unwanted medications. In 2009, area residents used the sites to dispose of 60,000 pounds of pharmaceuticals. The Alameda proposal would have mandated that drug manufacturers create detailed plans to collect both prescription and over-the-counter medicines. The estimated cost of complying with the proposal is $200,000. Business representatives from pharmaceutical companies and trade associations argued that the proposal was premature and would have been ineffective. They suggested the proposal would increase costs and would also cause companies to halt business in the county. When not properly disposed of, unused medications can be a hazard to children and pets. In recent years, there has also been increasing concern about medications finding their way into our community water supply. A 2008 study by the Associated Press found that medications were detected in drinking water supplies that serve twenty-four major metropolitan communities. The pharmaceuticals identified included antidepressants, anti-seizure medicines, antibiotics and hormonal medications. The concentrations of medications were generally quite small and, in levels measures by the part per billion or trillion, are far lower than the dose used by patients. However, it is unclear what impact exposure to even the small levels might impact those who use the drinking water for an extended period of time. Some of the chemicals are introduced into the water reserves due to improper disposal. Additional drugs can enter water supplies when trace amounts are excreted in the urine of people who have taken the medications. Water treatment processes do not always eliminate all of the residual chemicals. Federal water standards do not generally require testing for these substances. The danger to the water supply means that residents should not flush leftover medications down the toilet. Patients should use care if disposing of medications in the trash to avoid having children or pets accidentally consume the products. Experts suggest that, if you decide to throw out medication in the trash, you combine it with used coffee grounds or other substances that would make the medicine unappealing. It is, however, best to dispose of medications at designated disposal sites. You can find a listing of such sites at the California Department of Resources Recycling and Recovery website. Improperly discarded drugs are just one example of potentially dangerous chemicals in San Francisco water. If your health, or that of a loved one, has been impacted by these health threats, our skilled Northern California chemical exposure lawyer can help. We can work with both individuals and groups to identify negligent parties and help victims recover needed compensation.